From the author of Cider With Rosie, Village Christmas is a moving, lyrical portrait of England through the changing years and seasons. Laurie Lee left his childhood home in the Cotswolds when he was nineteen, but it remained with him throughout his life until, many years later, he returned for good. This collection brings to life the sights, sounds, landscapes and traditions of his home - from centuries-old May Day rituals to his own patch of garden, from carol singing in crunching snow to pub conversations and songs. Here too he writes about the mysteries of love, living in wartime Chelsea, Winston Churchill's wintry funeral and his battle, in old age, to save his beloved Slad Valley from developers. Told with a warm sense of humour and a powerful sense of history, Village Christmas brings us a picture of a vanished world. 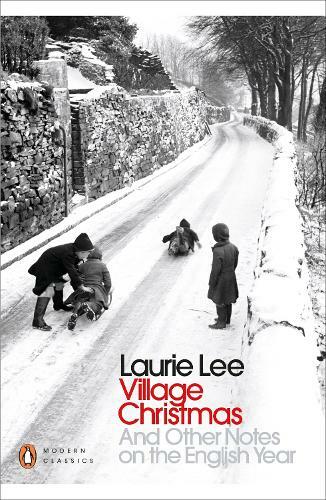 “Village Christmas” is a delightful collection of thirty one short articles by Laurie Lee describing people and events mainly in rural, but also urban, England before and after the Second World War.